Marine biologists say most show rope scars, and not a single newborn calf has been seen this year. PROVINCETOWN, Mass. 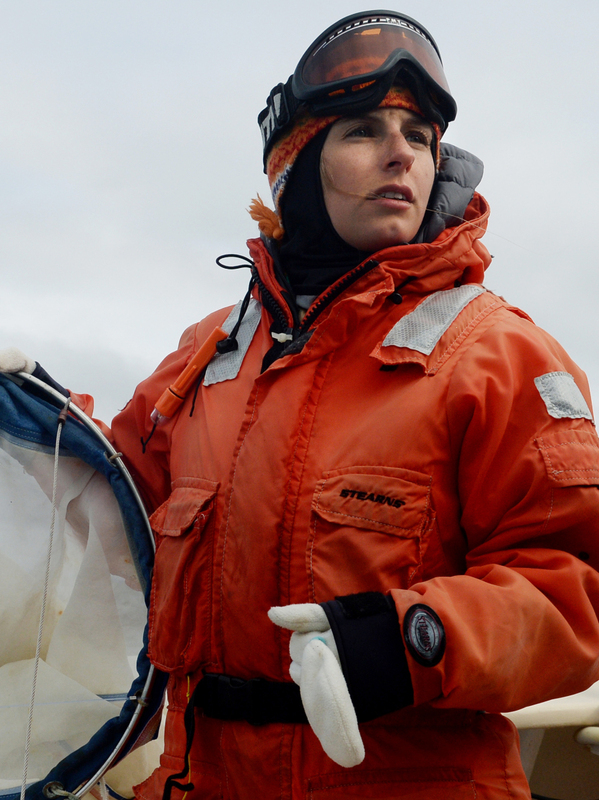 — The crew of the research vessel Shearwater has been out on the water for six frigid hours with almost nothing to show for it. On deck, two coverall–clad observers brace themselves against the wind and snow, alert for the white plume of a spout or the fleeting wave of a tail. On the bridge, marine biologist Charles “Stormy” Mayo searches, too, his brow furrowed in a deepening frown. It is early April, and these plankton–rich waters should be full of hungry animals. But all he can see are dark gray waves and dull, cloudy sky. “Where the hell are the whales?” he demands. For years, spring has signaled the return of North Atlantic right whales – one of Earth’s most endangered species – to Cape Cod Bay. But lately the imperiled animals have acted in strange and disturbing ways. Females are having fewer calves; this year, not a single newborn was seen. The whales are skipping favored feeding grounds and showing up in unusual places. And in the past 11 months, 18 whales have been found dead – the worst mortality event since scientists began keeping records decades ago. “The whales are a metaphor for what we have done to the planet,” Mayo says. A century ago, humans had slaughtered nearly every right whale in the Atlantic. Now climate change seems to be shifting the animals’ food source. Their habitat has been polluted with sewage and made noisy by construction and seismic tests. Speeding ships and tangles of fishing rope pose deadly threats. New technology and tightened regulations could protect the whales from some of the biggest hazards. Yet political efforts have stalled, lawsuits linger unresolved, and fishermen fear what potential remedies might cost them. Fewer than 450 North Atlantic right whales remain, including just over 100 breeding females. It is thought that the population will no longer be viable in 25 years unless something changes. Biologist Lauren Goodwin studies endangered North Atlantic right whales in Cape Cod Bay last month. North Atlantic right whales are so strange–looking that early sailors sometimes took them for sea monsters. They are massive animals – up to 50 feet long – with broad black bodies and powerful tails. Their long arching mouths, which begin above their eyes, can open wide enough for an adult human to stand inside. But these whales eat mostly plankton, which they filter out of the seawater with long curtains of baleen. 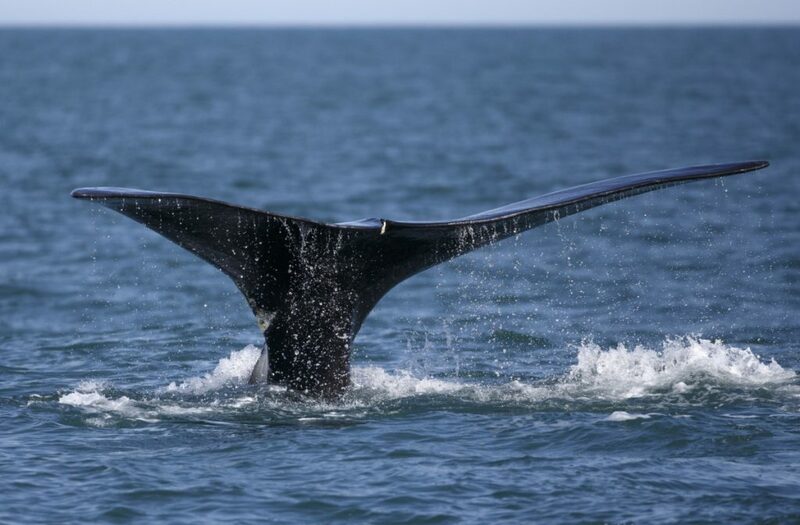 Distinctive patches cover each right whale’s head – allowing researchers to identify individual animals. The species gets its common name from whalers, who considered the docile, oil–rich creatures the “right” whale to hunt. In the fishery’s heyday in the 16th and 17th centuries, crews setting out from Massachusetts and New York caught as many as 100 per year. One account describes the death of 29 right whales in Cape Cod Bay on a single day in 1700. By 1935, only about 60 remained. In subsequent decades, they gained the protection of the Endangered Species Act and the Marine Mammal Protection Act, which helped boost their numbers to a peak of 482 in 2010. But then something changed, and the population started to decline again. By 2016, the last year for which reliable data is available, it had dropped to 451. Since last June, 12 whales have been found dead in Canadian waters and six in U.S. waters. At least three had been entangled in fishing gear and four showed blunt force trauma, most likely from being struck by ships. Some of the deaths may be consequences of the whales’ unexpected appearance in the Gulf of St. Lawrence last summer. Because whales are usually rare there, Canada had few protections in place. Now it seems almost certain that the right whale population has fallen into the 430s – lower than it has been in a decade. And that does not take into account whales that may have died far out at sea, without ever being noticed by humans, said Heather Pettis, executive administrator for the North Atlantic Right Whale Consortium. “We think we could only be seeing half to a third of all mortalities,” she said. On a rainy morning in a conference room near the Providence airport, the National Oceanic and Atmospheric Administration assembled its “Take Reduction Team” – a group scientists, government officials and fishery representatives – to figure out how to save the species. The discussion was heated from the start. For one thing, no one – not whale researchers, not lobster fishermen – can fully explain why right whales are so frequently ensnared in the ropes that connect lobster pots on the seafloor to buoys on the surface. Whatever causes entanglements, said Amy Knowlton, a senior scientist at the New England Aquarium, the episodes have become worse in recent years. Improvements in rope have made the cordage stronger and, therefore, harder for whales to escape. About 85 percent of all North Atlantic right whales bear rope scars, and the problem now causes an average of 3.25 deaths and severe injuries per year.. Females seem to be hit the hardest, Knowlton said. Only a third of female whales that experience severe entanglement survive, and those that do are less able to have calves. Fishers have tried bunching together traps on a single line to reduce the amount of rope in the water – but entanglements keep happening. Scientists have suggested ropeless traps that could be summoned to the surface electronically – but lobstermen balked at the prices involved. Color–coding gear so it can be traced might help in tracking the most dangerous places for whales, but a fishing gear manufacturer said his company probably would not be able to make and sell enough distinctive rope. Erica Fuller, an attorney with the Conservation Law Foundation, observed the proceedings with growing frustration. Her organization is one of several conservation groups to sue the National Marine Fisheries Service over a recent biological opinion regarding right whales. .
Fuller noted that after last year’s mortalities, Canada acted quickly, including area closures, speed restrictions and a $167 million investment in research.